WHO DOESN'T LIKE VENISON SAUSAGE? One of the most popular ways to enjoy venison is to make a venison sausage. Whether it's a slice of summer sausage, a pepperoni stick, or a breakfast patty, hunters seem to go nuts over a good venison sausage. 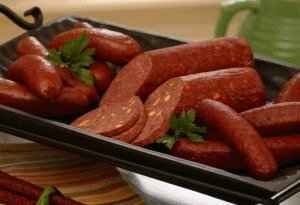 This page offers up some useful information on making your own sausage at home... although I prefer venison sausage, these tips can also be used with beef and pork sausages as well...after reading the information on making sausage you can get some great Venison Sausage Recipes at the bottom of this page. 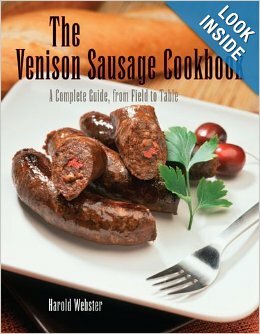 The perfect book for the many hunters and their families who have always wanted to learn how to make venison sausage.